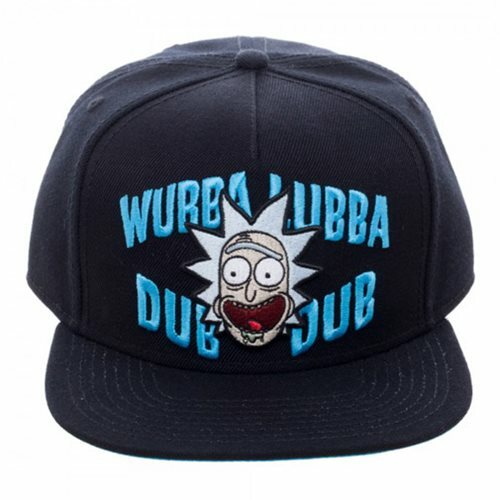 This acrylic wool Rick and Morty Wubba Black Snapback Hat is a dope addition to any Rick and Morty fan's collection, especially if you find yourself shouting "Awww yeah, wubba lubba dub dub" a lot. It features embroidered art of Rick Sanchez and his catchphrase on the front. Hand wash cold, lay flat to dry. Ages 13 and up.